This is such an important message and such truth that I’ve re-blogged it and hopefully the followers of http://www.cubersupportgroup.org will read it as well. How God sees us is what is much more important than how we see ourselves or how others see us. Just reading a book by John Bevere called EXTRAORDINARY. It has certainly been a journey and an eye-opening one at that. In His book John maintains that we as humans have three images our “projected’ image, our “perceived” image and of course our “actual” image. Must admit I took a bit of a gulp when I read that because his words hit their mark with me straight away. – I would just like to share some of the things he wrote and my own thoughts on this vital message of how God really ‘sees’ us. John goes on further to say that your ‘perceived’ image is how others see you – your ‘projected’ image is how you desire others to see and your ‘actual’ image is who you really are. What an awesome God we have! 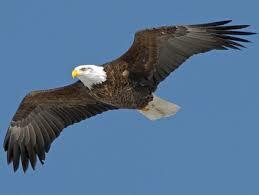 With wings as an eagle. WITH MUD IN YOUR WINGS YOU CANNOT FLY. No jury sits in this court room. No spectators fill the room. You won’t hear whispers echoing across the isle. The silence is almost deafening. The Judge sits high above the rest of the room. His eyes focus on the defendant. My hands are locked together in front of me and my knees knock together slightly. My Attorney leans over and gently bumps my shoulder with His. He gives me a wink and then focuses back on the Judge. The accuser stands straight, cocky like. His eyes are fire and his hand rests on the stack of papers. He glances over at me and shivers shoot up my spine. With an evil smirk he has an expression of confidence. A voice booms across the room, coming from the Judges bench. “State your case Satan!” God’s voice is so powerful my knees almost give out from under me. Jesus gently takes me by the elbow to steady me. Satan picks up the stack of papers and begins reading the accusations. “This is a contract her grandfather signed! Before she was born she was mine!” He slaps it on the table and raises another. “This is the promise her father made before she was even out of the womb!” He slams it down and rattles yet another. I nervously glance at my Attorney. Satan doesn’t stop. One paper after another he waves in the air and shouts what his claim to me is that’s stated on each of the contracts. This is more than I can bear. I had no idea that people make contracts with the devil and literally give him and his demons legal rights to control that person. I need to sit down! My Attorney listens quietly, He’s as cool as a cucumber. He leans toward me and whispers, “Trust Me.” Trust Him? Oh I do, but I also want to climb right up under those long white robes and hide. Satan is screaming and demanding that I am his. “Here’s the contracts to prove it”, he hollers as drool and slobber splatter out of his mouth. I must have swallowed 10 times in order to get the words to come up out of my throat. Finally a squeak comes out and I clear my throat and speak. “Father God, Your Majesty, on Oct.3, 1993 I gave my life to Jesus. I believe He shed His blood for my sins, I believe He died and arose and is Your Son. I asked Him to be my Savior and to come into my heart and my life. I have tried to be as obedient as I can be. You said that if we confess our sins and believe in our heart that Jesus is Your Son then we are saved. I believe that Father, I mean God, I mean your Honor. I swallow hard and take a deep breath then continue. I didn’t just ask Him to be my Savior I gave Him my whole life to do with as He pleases. I gave Him me! I know I still sin and I’m sorry but I – I sense Jesus looking at me and when I look up His radiant smile and the compassion and love shining in His eyes leave the rest of my words stuck in my throat. I shut my mouth. Looking at Jesus, hoping I haven’t screwed up my case by babbling, tears stream down my face. Jesus reaches over and with His thumb gently wipes the tears off my cheeks. Satan has started dancing from one foot then the other. Then he begins waving the stacks of papers and begins sputtering unintelligible words. He begins accusing Jesus. The Judge holds out His massive hand and says, “Give those papers to me!” He commands. Apparently Satan thinks he’s won. He fairly scoot’s across the floor happily to the Judges bench and hands them to Him. Father God holds the stack of contracts out in front of Him and without looking at them, begins ripping them in half then ripping them again and again. Satan is screaming. He’s going ballistic. Father God commands him to back off and shut up. Satan does. The Almighty Judge looks at His Son, “My Son, do you have anything to say?” Jesus looks at me, smiles, places an arm around my shoulder, and replies, “My child is not guilty by reason of I love her more than she’ll ever know. My blood was poured out for her. My blood washed her sins away. She is in Me and I am in her. There is no question she has been redeemed.” Jesus gives my shoulder a soft squeeze. God leans forward. His eyes are intense. He first looks at Jesus, then at Satan, and finally at me. He picks up the large gavel and suddenly slams it down. “Not Guilty!” booms across the room rattling the windows. Satan goes into a fit of rage but as soon as Jesus turns toward him and points that index finger at him Satan stops hollering and slinks out the door. 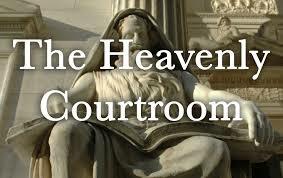 There really is a spiritual heavenly court. I have been in it three different times with Jesus defending me against the legal rights my grandfather gave to Satan before I was conceived. Almighty God is the Judge. Jesus Christ is my Defender and Satan is the accuser. If you have accepted Jesus Christ as your Lord and Savior Father God will find you NOT GUILTY every time Satan accuses you. Out of the mouths of babes. You’ll love this show and tell! I’ve been teaching now for about fifteen years. I have two kids myself, but the best birth story I know is the one I saw in my own second grade classroom a few years back. When I was a kid, I loved show-and-tell. So I always have a few sessions with my students. It helps them get over shyness and usually, show-and-tell is pretty tame. Kids bring in pet turtles, model airplanes, pictures of fish they catch, stuff like that. And I never, ever place any boundaries or limitations on them. If they want to lug it in to school and talk about it, they’re welcome. So many times we sit on the fence not knowing what to do or not willing to do what we know we must do. 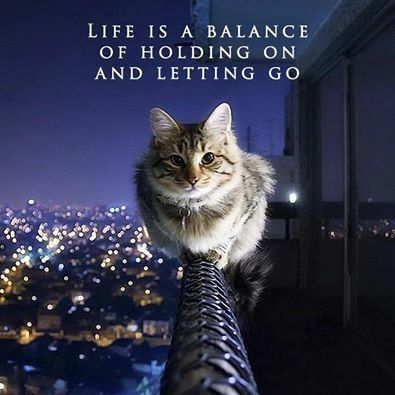 There’s a saying, “Let go and let God.” Are we willing to do that? Are we willing to let go of the anger we perhaps feel toward our spouse, or child, or friend? Are we willing to forgive the transgressions of others toward us? Life is so much more pleasant when we are willing to step down off the fence onto the side of what is most pleasing to God. I re-blogged this from Shofargirl. It is a prayer for America to repent. We have turned away from God in so many areas and I pray we will turn back to Him and receive His favor once again.